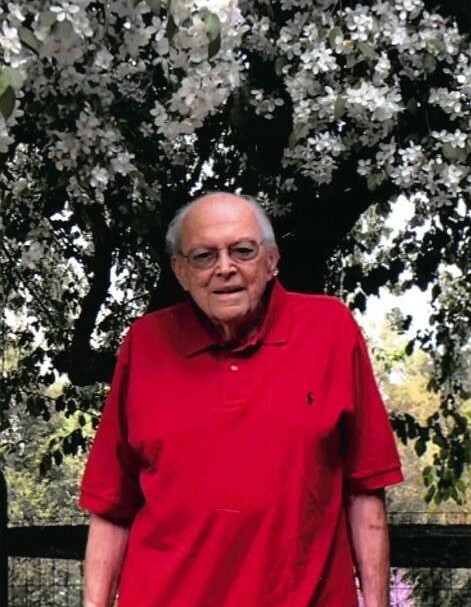 Dr James Gregersen, of Newtown, PA peacefully passed away at home surrounded by friends and family on November 13, 2018. He was 94 years old. Jim was born in Hollis, NY on May 24, 1924. He honorably served during World War II as a Pharmacist’s Mate in the US Navy from 1943 to 1946. He was stationed on the USS Tarazed, USS Vulcan and USS YMS-311. He received the Asiatic Pacific Theatre Metal and Philippine Liberation Ribbon among others during his service. He attended Tusculum University in Tennessee prior to joining the Navy. He then graduated from Jefferson Medical School in 1952 followed by an internship at Nazareth Hospital in Philadelphia, PA. He spent his career at Lower Bucks Hospital in Bristol, PA ultimately becoming the Chief of Radiology before retiring in 1989. Jim had many interests including recreational piloting and boating. He was a talented pianist and could play anything by ear and was often asked to play while his friends and family sang along. Mostly, he was an avid car collector and longstanding member of the Lincoln Continental Owners Club winning many honors for his extensive antique car collection. He was blessed to be married to his wife of 56 years, Marilyn Gregersen, before she passed away in 2006. He is survived by his sister Barbara Berbrich of Greenport, NY and his two daughters Jody Gregersen of Downingtown, PA and Gail Boyé of New York City. He was a very loving father and we feel blessed to have had him in our lives for as long as we did. He will be dearly missed. Family will receive visitors Sunday, Nov 18th. 2-4 & 6-8 p.m. at Horton-Mathie Funeral Home 735 First St. Greenport. A church service will be held Monday, Nov 19th 11:00 am at First Presbyterian Church of Southold. Interment will follow at Cutchogue Cemetery, Cutchogue, NY. North Fork Animal Welfare League, Inc.